The geography of the human brain is covered in wrinkles. Deep fissures separate peaks of grey, squishy tissue. These strange convolutions, however, are a key to many of humanity’s higher functions such as cognition, touch, memory, movement – name an ability and it has a wrinkle with its name on it. Anatomically the ridges are called gyri (singular gyrus) and the creases are called sulci (singular sulcus). The hilly geography of the human brain allows for the cerebral cortex – the topmost layer of the brain – to maximize surface area and hence mental capacity. Surprisingly, the primary sulci and gyri are observed in relatively the same location from person to person. How these conserved formations develop in utero have stymied scientists for decades. A novel experimental approach may now have solved the mystery of brain development in utero. Obviously, for brain development in utero many biological factors are in play. DNA, for starters, holds the genetic codes that dictate the development of cells which eventually differentiate into the neurons and glia that compose the human brain. Genetics also play a critical role in the regionalization of brain function. Yet research has not found any codes that mold the specific folded shape of the cortex. Recent morphogenetic models focus on the brain being tugged and pulled into shape by the nascent neurons and glia. The theory proposes that as the brain cells migrate and mature during gestation, they contour the smooth fetal cortex into the essential sulci and gyri seen in an adult brain. Now scientists at Harvard University have demonstrated that the characteristic folds of the brain are determined by the “mechanical instability” of the fetal brain tissue growing within the confined space of the skull. The multinational research team led by Professor Lakshminarayanan Mahadevan, demonstrated this theory by using a “3D-printed layered gel mimic” of the fetal brain based on MRI scans. The model was then submerged in a solvent. The outermost layer of elastomer gel, representing the cortex, absorbed the solvent causing it to expand. This swelling caused “mechanical compression” on the inner layers of the gel that mimicked the resulting elastomer/cortex layer as it came to “buckle“. The resulting model exactly replicated the sulci and gyri – the ridges and creases – seen in human brains. 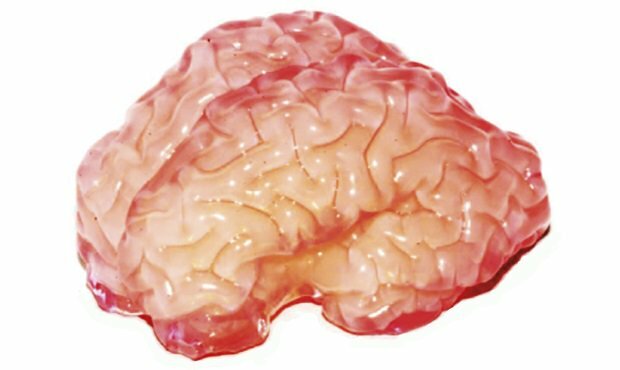 In short, the researchers showed that the amniotic environment of a maturing fetal brains plays a significant role in giving human brains their characteristic crinkles. While genetic and molecular factors are still important influences to the specialization of the human cortex, articulating the physical development is important for many fields of medicine. It is well documented that aberrations in our signature sulci and gyri cause cognitive and neurological deficits. This includes growing research that links cortical misfolding to aspects of Autistic Spectrum Disorders. Knowing the anatomical origins of these cortical hallmarks may lead to a better understanding of brain malformation and help develop more comprehensive therapies and interventions.